NOBODY knows what caused the S-shaped formation which appeared in the sky off the West Australian coast, only that it was there. 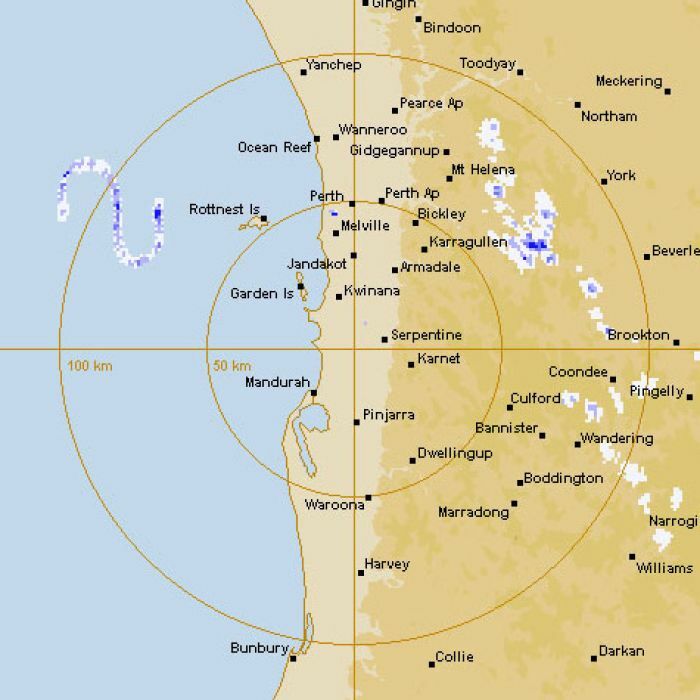 The weather bureau radar detected the unusual shape around 30km west of Rottnest Island. In an interview with the ABC, meteorologist Neil Bennett said the phenomenon was not caused by cloud. “They don’t take on S shapes and things like that,” he said. Mr Bennett told the broadcaster that the radar beam, programmed for the detection of precipitation, strikes rain droplets or ice particles. The Defence Department has not responded to questions about whether operations in the Indian Ocean may have caused the blip. The formation was dubbed the ‘Rott Nest Monster’ on social networking websites. A source with knowledge about weather phenomena told news.com.au blips on the weather radar are common and are sometimes caused by flocks of birds and insects.